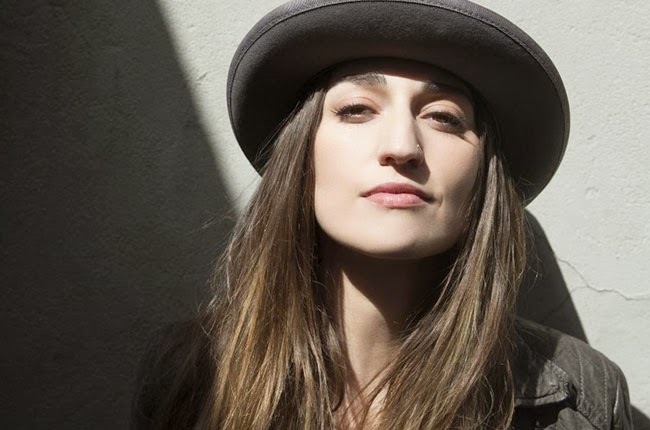 Sara Bareilles has fired manager Jordan Feldstein, who also counts Maroon 5 and Robin Thicke as clients, sources confirm to The Hollywood Reporter. The singer, who performed with Carole King at the Grammys, went home empty handed after being nominated for album of the year (for "The Blessed Unrest") and pop solo performance (for "Brave"). Though Bareilles and Thicke were both up for the evening's top categories (Thicke had three noms and also performed with Chicago), Feldstein did not attend the Staples Center event on Sunday. The news comes after a strange scuffle between Feldstein and Sharon Osbourne took place at Saturday night's Clive Davis/Recording Academy-sponsored pre-Grammy gala at the Beverly Hilton hotel. According to E! Online, Feldstein was first spotted in the ballroom arguing with Kelly Osbourne, with her mother following up after her daughter stormed away from the music manager's table. "Sharon walked up to him pointing her finger and screaming," an eyewitness tells THR. With Bareilles seated nearby, Feldstein and The Talk host apparently got into a heated exchange that resulted in Osbourne tipping over a plate of food on his lap and throwing water at his head (see photo). The fight apparently erupted over comments Feldstein made about Jack Osbourne and his wife. Says a source: "You don't f--- with the Osbournes." Feldstein is the brother of Jonah Hill (who was hosting "Saturday Night Live" in New York City when the food fight broke out) and a childhood friend of Maroon 5 frontman Adam Levine. He has been managing the successful pop band for their entire career. Feldstein and a rep for Bareilles did not respond to THR's request for comment.